With over 200 islands to discover, the best way to discover the Cyclades is by boat. A private charter allows you the flexibility to explore as you please, at your own pace. Stop off at waterside tavernas, marvel at the ruins of Ancient Greece or anchor at some of the famous party islands to experience to best nightlife of the Mediterranean. The yacht charter season in Greece starts from the end of April and ends in late October. Two yacht options are available – Monohulls and Multihulls (Catamarans). Sailing yachts for charters range anywhere from 30″ to 60″. Bigger yachts are also available, and are only offered as crewed yacht charters which come at a larger supplement. Monohulls almost invariably feature 3 cabins and 1 WC (up to 38″), 3 cabins and 2 WC (up to 42″), 4 cabins and 2 WC (up to 45″), 4 cabins and 3-4 WC (up to 49″), while yachts between 48″ and 60″ can have 4-6 cabins and 4-5 WC, with or without a humble skipper/crew cabin. It is a legal requirement that a skipper and co-skipper must be with the boat. The skipper must be certified but the co-skipper can be anyone with some sea experience, even the hostess. A chartered catamaran with skipper cannot be left unattended (without a skipper). The first 3-4 weeks of August are high season throughout Greece, receiving both domestic and international tourists. Most yacht charters in Greece begin and end on a Saturday. You would disembark at 09:00 a.m. Saturday, the time being the universal standard in Greek yacht charters, allowing for the boat to be prepared for its consecutive journey. It is important to note that the rule is that although you disembark by 09:00 a.m. on the day the charter ends, you need to be at the disembarkation port before sundown of the previous evening. The weather is warmest during July and August – and can reach up to 42 degrees Celsius – but being out in the sea on a yacht cools things down by about 3-5 degrees. From June to September, the sun shines nearly always, with the exception of rare short-lived rain spells. It should be noted that there is a recurring meteorological phenomenon called “Meltemi”, characterized by strong northerly winds, most prominent in the ever popular Cyclades islands complex. It typically lasts for 3-4 weeks starting any time from the 15th of July to the 10th of August. You bear the cost of provisions, which extends beyond yourself to daily meals and beverages for the staff onboard. Meal plans and allergies may be discussed with the hostess which will allow you to have some flexibility and opportunities to sample Greek delicacies and dishes. It is common for yachts to offer internet at an extra charge. Typically this would be wireless 2G/Edge/3G/HSPA modem/router to which one can connect to via WiFi with their device. The average cost is €80 for 5GB-8GB of data. Weekly Bareboat Charter Rates range from €5,000 – €10,000 excluding fees for skipper, host, food, internet, petrol, bond, shore excursions. Charter costs will vary, based on a number of factors which include the age and quality of the boat. For a quote, please refer to the requirements listed below. Typically, the cheapest chartered yacht rates would be in late-April, and slightly increasing towards the end of May and early June. Rates would progressively become higher as demand peaks between June and August, with August being the most costly. Clients must also factor in fuel costs and consumption, dependent on a multitude of factors – being traveling distance and weather. Under ordinary circumstances, it can be expected that 600 litres will be enough for at least two weeks, costing approximately 900 euros. It is standard policy in the yacht charter industry for the client to receive the boat with full diesel tanks (catamarans have two engines) and to refuel it at the end of their journey at their own cost. One-way journeys in August are not recommended, and are not typically offered, as shipowners prefer not to have convoluted charter plans. It is recommended that clients take a charter from Athens, as it allows for a larger selection of yachts at competitive rates. 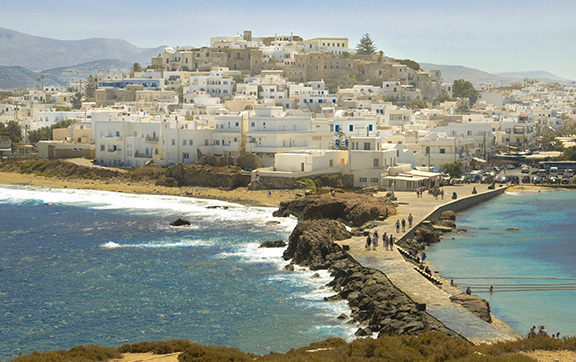 The most popular charter is a return trip from Athens to Cyclades Islands. 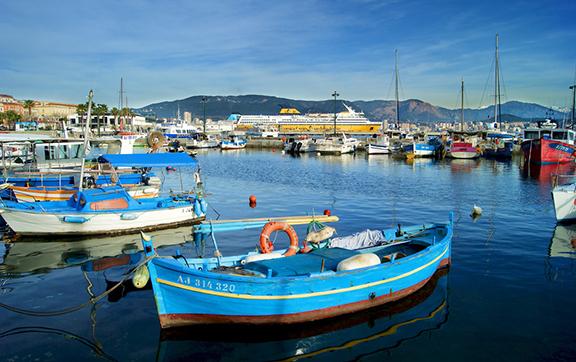 A charter of 2 – 4 weeks is recommended for the best Greek Island holiday. Acclaimed to be one of the historical capitals of Europe, Athens has a long, fascinating history with universal significance. 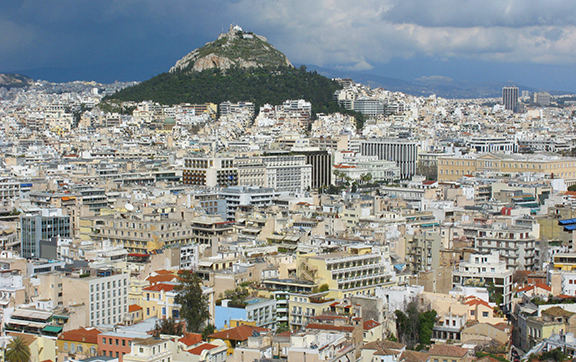 It’s unrivalled charm has been chiseled from the multitude of conquerors which have occupied Athens. 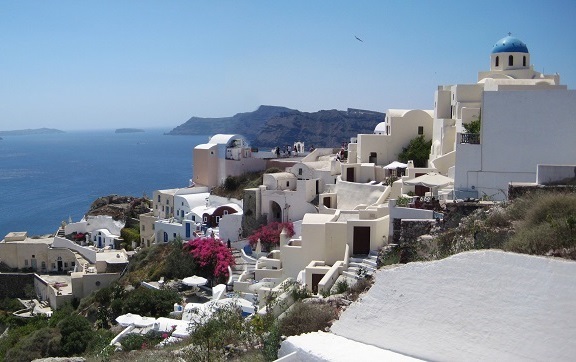 Formed from intensive volcanic activity, Santorini is the glamorous poster-child of the Greek Islands. Being one of the most popular tourist destinations among the Greek Islands, it offers incredible views from towns towering atop one another, culinary dreams, hectic nightlife, fine wines and beautiful galleries. Naxos is proudly the largest island of the Cyclades, boasting an amazing waterfront location with an array of paved alleys leading to secluded beaches, idyllic villages and ancient sites riddled with history. 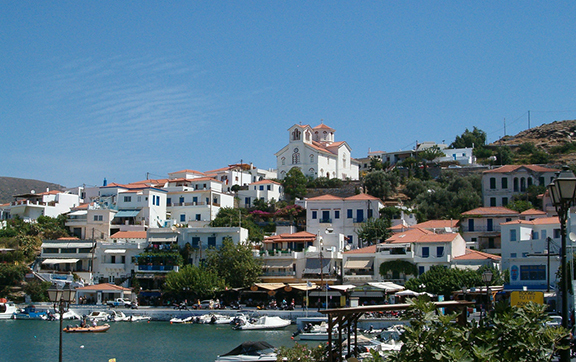 Ios is home to Chora, one of the most picturesque villages in Greece. The nightlife is electrifying which is juxtaposed by the beautiful calm beaches. 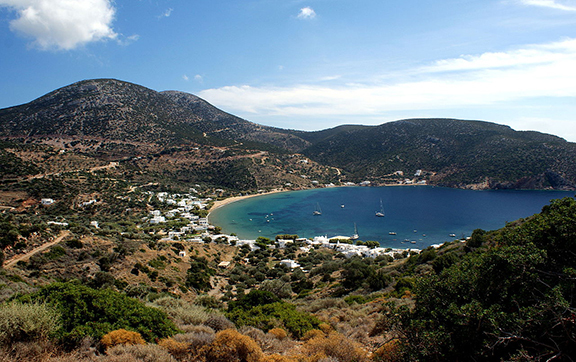 Ios is a classic Greek island where narrow paved streets meet the golden beaches. Beach parties start in the midday and last till the early hours in Mylopotas, making it a popular place for teenagers and youth. 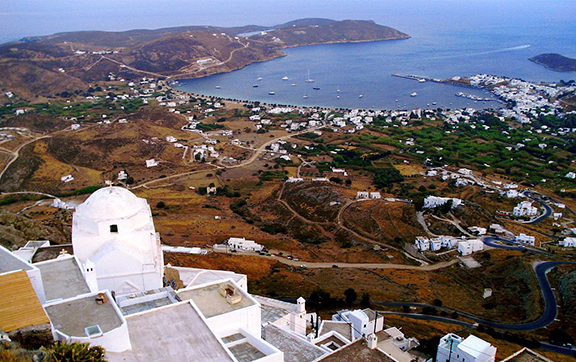 On the western end of the Cyclades you will find the beautiful, mountainous island of Kythnos. Surrounded by picturesque beaches and centred with beautiful architecture, it is a popular destination for a summer weekend. Visitors would be remiss to not visit the beach of Kolona with its luscious sand and crystal waters. 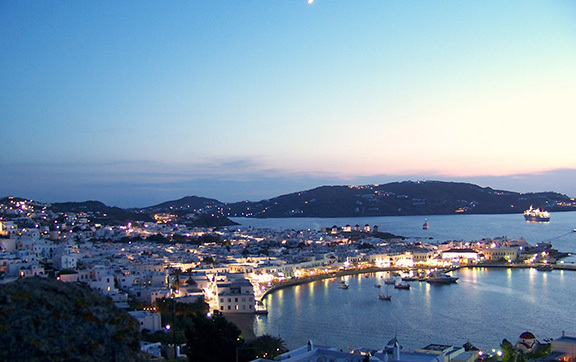 Paros is a must for visitors who gravitate towards neoclassical architecture. It features a 13th century Venetian castle, 6th century church, and a 4th century baptistery, as well as the Parikía Byzantine Museum. 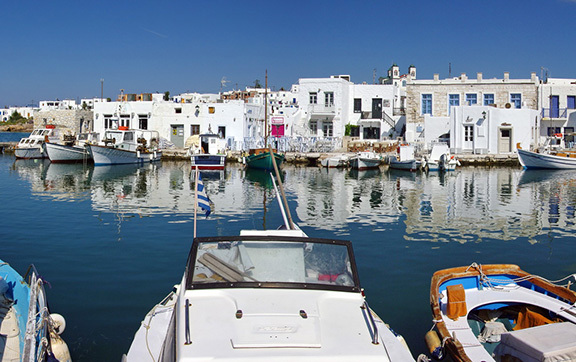 Paros is characterised by its stunning beaches, hospitable tavernas and picturesque towns and charming villages, whitewashed dwellings, blue-domed churches, fishing harbours overlooked by lively bars and cafés. Greece’s most famous cosmopolitan island, a whitewashed paradise in the heart of the Cyclades, the Ibiza of Greece as it is called, is particularly famous for the picturesque town, the fantastic beaches and party-hard reputation. The island of Delos near Mykonos, is an ark of history, the mythological birthplace of Apollo, The excavations in the island are among the most extensive in the Mediterranean. It’s a chance to walk around the revival of the glory of the Greek civilization. Understated and relatively untouched, Tinos typically attracts Greek pilgrims to visit the church of Panagia Megalochari. With over forty traditional villages, the island features incredible craft scattered from the chapels, arches, pigeon lofts and fountains. 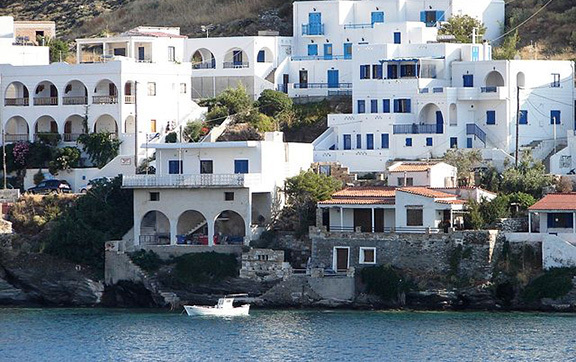 Andros is one of the most popular weekend destinations for those seeking a getaway. Golden Beach and Agios Petros are the tourist hot spots, but one can escape to Chora to discover the wonders in one of many art museums of the island. Old quarters with incredible Aegean Sea views can be found in the main town, Ermoupolis. 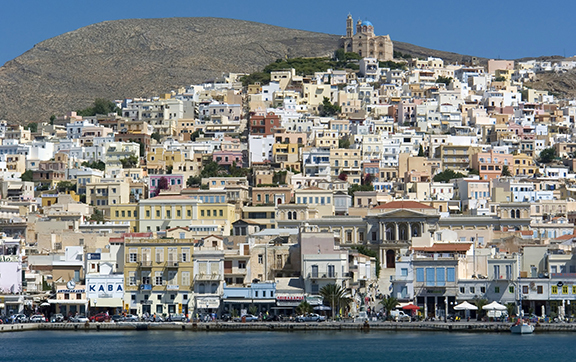 Architecture in Syros combines Syros island is an amalgamation of Venetian and Cycladic influence. 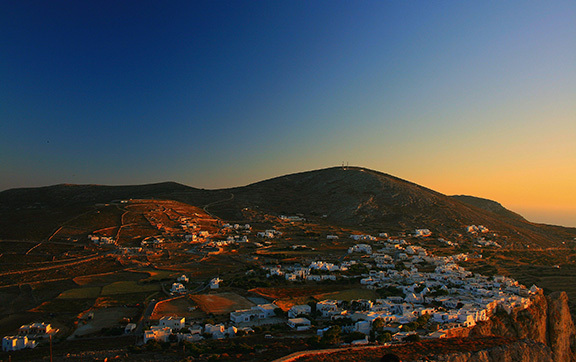 Located on the western side of the Cyclades, Serifos is relatively undeveloped in regards to tourism. It’s landscape has been well preserved and it’s character has been untouched. 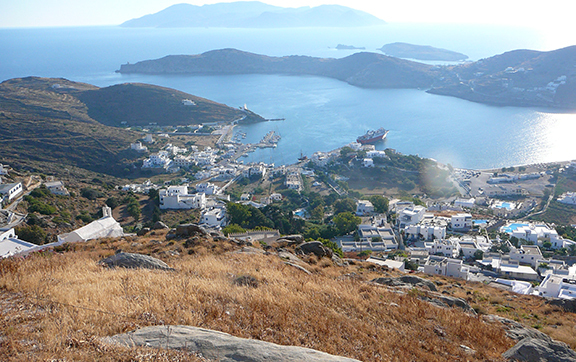 Serifos is perfect for those who want to explore the many trekking paths available. 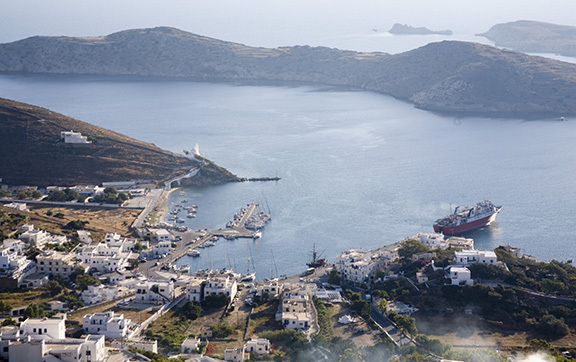 Sifnos delivers an amazing balance between relaxed nightlife, glamorous beaches, Cycladic villages and the culinary delights that Sifnos is renowned for. Still considered ‘true’ Greece, Folegandros has a laid-back atmosphere where visitors can really soak in the peacefulness that the Cyclades has to offer. Some of the beaches of Folegandros can be difficult to reach, however the effort is kindly rewarded with crystal waters. The words private and beautiful can be used to describe Sikinos, as the island is unexplored by most. A public winery, walking trails, calm beaches and dance festivals can be discovered on Sikinos.